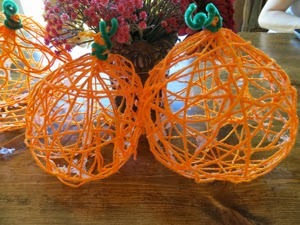 Today’s Post features a pumpkin yarn craft and some pumpkin recipes! 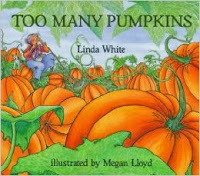 Too Many Pumpkins by Linda White is one of our favorite fall books! 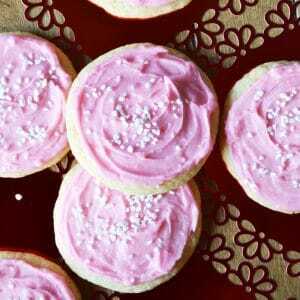 A chunkier pumpkin spice cookie that is wonderful iced! Soak 2 cups of raisins in hot water for 15 minutes. Drain and set aside. 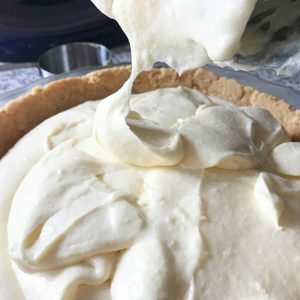 In a mixer combine the first 6 ingredients. 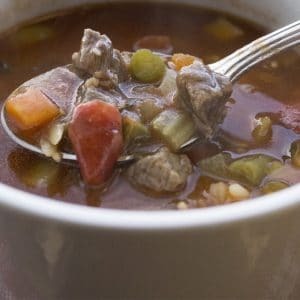 Beat on high speed until fluffy and add the next 6 ingredients. Let the cookie batter sit for 10 minutes. 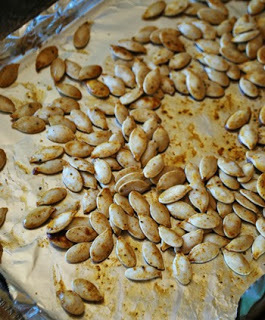 Drop by rounded tablespoons onto a baking sheet lined with parchment paper. Bake at 350 degrees for 10-12 minutes. Cool on a rack. 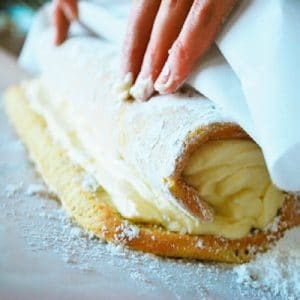 Frost with Butter Frosting! Rebecca Estelle does not like pumpkins! When a truck comes by at harvest and dumps one into her yard, her attitude must change. This part is when my 5-year-old gasps and says, “PUMPKINS!” How did all those pumpkins get there? 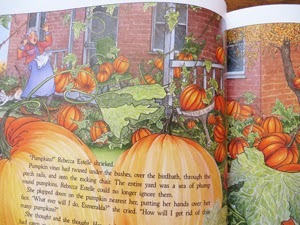 What will Rebecca Estelle do with all those pumpkins? You’ll need to find out! Once you read the book, make the pumpkins below, bake pumpkin cookies, roast pumpkin seeds…Have fun! 1. 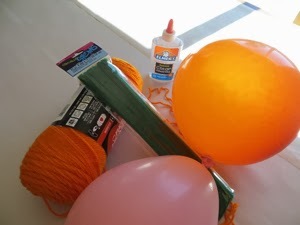 On the balloon, you want to create sections with the yarn. 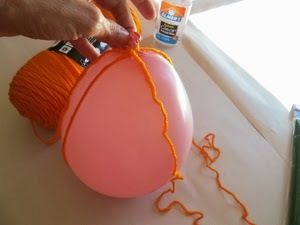 Start by tying the yarn around the knot on top of the balloon. Bring the yarn down and up the other side, and again wrap the yarn around the knot. 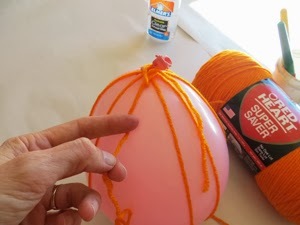 Continue until you have at least 8 sections around the balloon, tie at the top. I had to do this for them. 2. 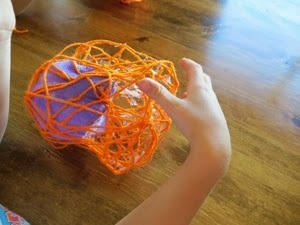 Take a paintbrush and paint glue over the sectioned yarn. 3. Now the messy part! I don’t love messes but it’s necessary here. 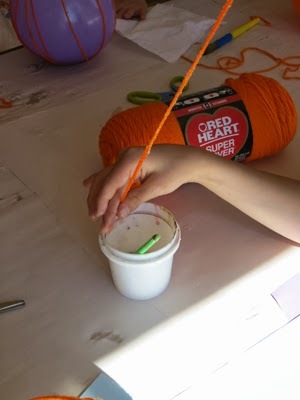 Take a length of yarn that is easy for the child to work with, at least as long to go around the balloon once. I would say 10″-15″. Soak this in glue, and squeeze down the glue back into the cup. 4. 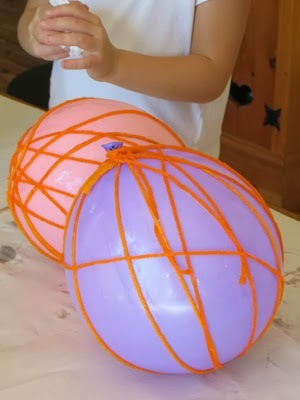 Now it’s a matter of wrapping the glue soaked yarn around the balloon and repeating until the balloon is well covered. You might want to keep little wipes handy for them to occasionally wipe the glue off. 5. Let dry. We hung ours outside with yarn to dry in the air. It took several hours, and don’t rush. If it feels slightly wet, it is. Overnight is probably better but they couldn’t wait for the best part. When dry, pop the balloon. 6. Don’t panic if your creation caves in! 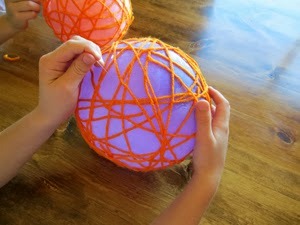 They can be shaped back out to a round pumpkin shape. 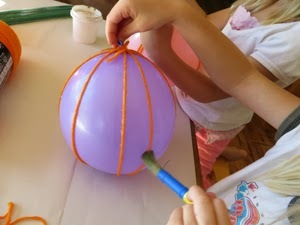 Carefully get the balloon out, you’ll need to cut it off the inside top. Don’t cut your pumpkin! Re-shape if needed. 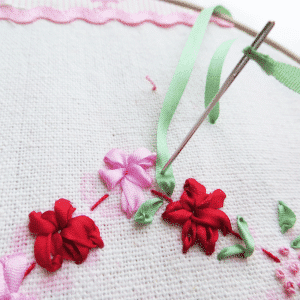 The time-consuming part is getting all the glue off the yarn to make it pretty, but do this after you re-shape. 7. 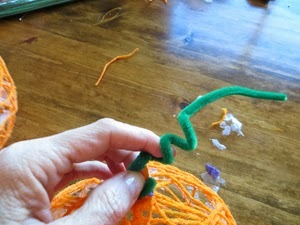 Now twirl some green pipe cleaner and tie the top knot. How cute is that? 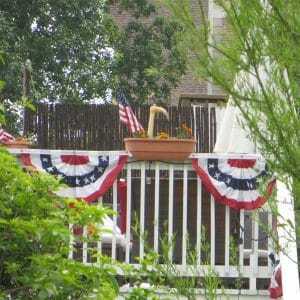 Too bad you can’t do this in orange fire-proof material because I think a candle would look swell in there. You can hang these or shape them to sit on a table. On day two, they were a bit sturdier. Bake up some of the softest pumpkin cookies ever! This was our one of our little ones very first cookie. They don’t need the frosting, but you’ll miss a real treat if you leave them plain! 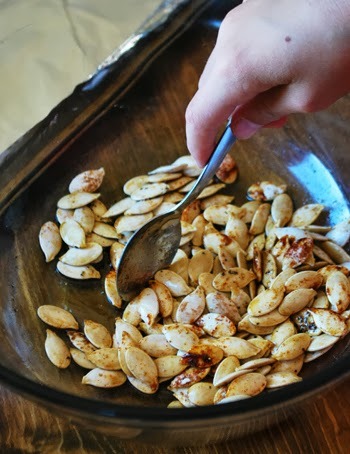 Mix together in a bowl and bake at 350 degrees, stirring every 7-10 minutes. These are done in about 30 minutes. Previous Post: « Harvest Dress Up – Make an Indian Dress!